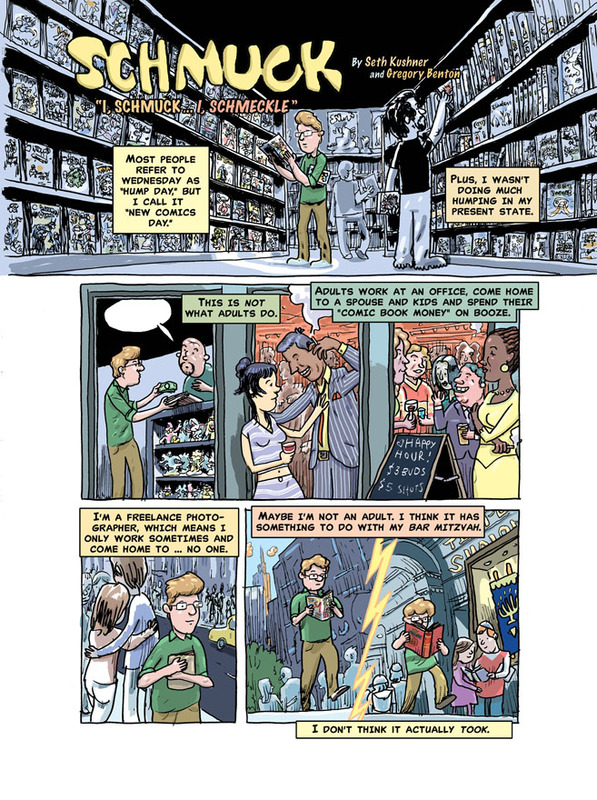 Seth Kushner, is a renowned photographer with a hard-on for comics, who first combined these two passions in his unique photocomix published on Trip City. He’s also a major Heeb, not just because he’s magazine mispucha having shot five covers , including The Beastie Boys and Jeremy Piven. But because his collection of short autobiographical comics, “SCHMUCK” drips with self-loathing, near-sightedness, and sexually frustrated Ashkenazi goodness. 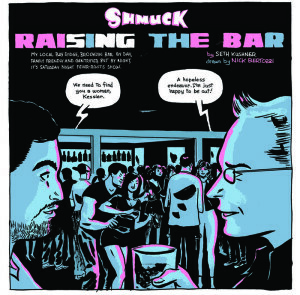 In “SCHMUCK,” Kushner tells “true” stories based on his own mishaps and mortifying memories, which are energetically illustrated by the cream of the indie comix crop. Kushner was mensch enough to grant HEEB the exclusive never-before-seen story “I, Schmuck . . . 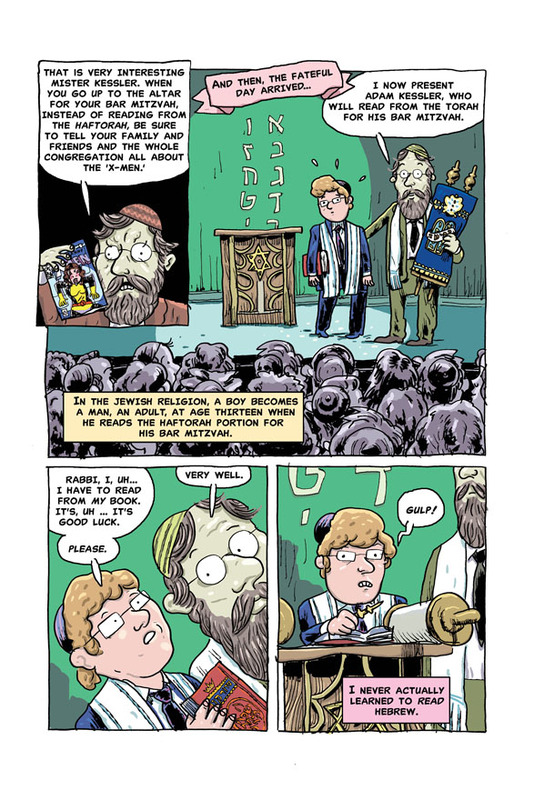 I, Schmeckle,” (Scroll to bottom) in which Gregory Benton illustrates the story of Kushner’s Bar Mitzvah. You worked with a lot of different artists for SCHMUCK. Is there a reason you matched Gregory Benton with this tale? The comic became a studio effort when Gregory was drawing the last panel. My script describes it as Adam Kessler (“me”) sitting in Union Square, reading a comic while leering at a passing woman, who looks back calling him“schmuck.” Gregory came up with Adam hiding behind the comic and peering over it, but Dean one-upped us: Adam should look through eyeholes cut in the comic. Sacrilege! But a great sight gag. As an adult, do you regret cheating on your Bar Mitzvah? Nah. None of my Hebrew school classmates who “didn’t cheat” even knew the meaning of the words; they memorized their haftorahs. I like to think 13-year old me saw the hypocrisy and took it one step further by not even bothering to memorize, but have a cheat sheet of the transliteration– ,but since Schmuck is all about my being painfully honest, I probably was just bored and lazy. 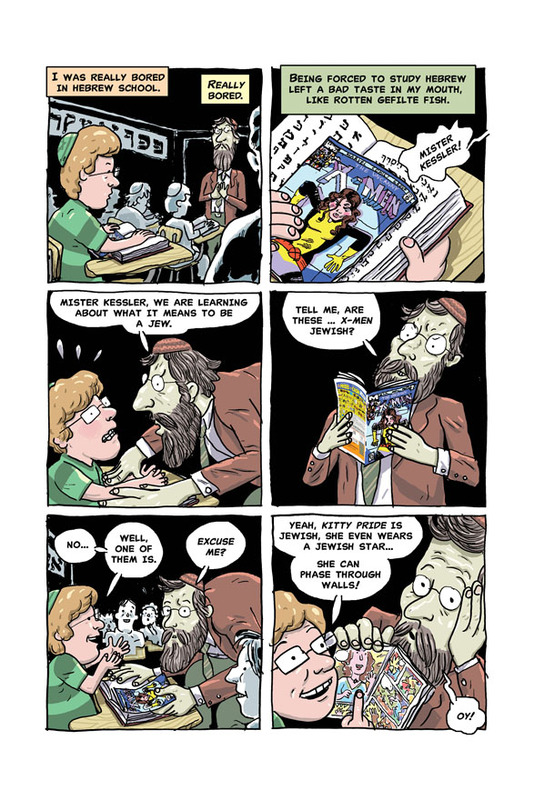 X-Men comics interested me more than Hebrew, so, I became an expert on Mutant Affairs instead. Why DIDN’T you tell the congregation about X-men? That would have been awesome! I was so super stressed about my Bar Mitzvah, that I never could have mustered the chutzpah to lecture the congregation about the X-Men. Plus, I was a nice Jewish boy! Who does such a thing from the bimah. I also remember being nervous about singing the haftorah. I’m no Neil Diamond! I was reading it from my own horrible handwritten notes, so I just semi-musically mumbled the whole thing very quickly. There are a number of Jewish superheroes. Is Kitty Pride your favorite? I’ve long had an affinity for Kitty Pryde. I remember reading her first appearances during the classic X-Men “Dark Phoenix Saga,” being blown away that she was wearing a star of David, and thinking “that’s a girl I could date!” At the time, there weren’t many overtly Jewish superheroes. There was an obscure Jew-fro’d female superhero from Israel named Sabra, and The Thing had yet been revealed to be Jewish. Why are you publishing via Kickstarter as opposed to a “normal” publisher? I did my first two books with a traditional publisher, (The Brooklynites, 2007 and Leaping Tall Buildings: The Origins of American Comics, 2012). Unless you’re J.K. Rowling or Stephen King, the system is not set up for the creator to make any real money. Publishing a nice book is expensive and the graphic novel and art book markets are relatively small, so everything works the way it does so the publisher doesn’t lose money. By funding the printing, Kickstarter allows me to retain complete control over my creation. Having done the math, I won’t make a fortune on SCHMUCK, but at least I won’t have to share profits with a publisher. 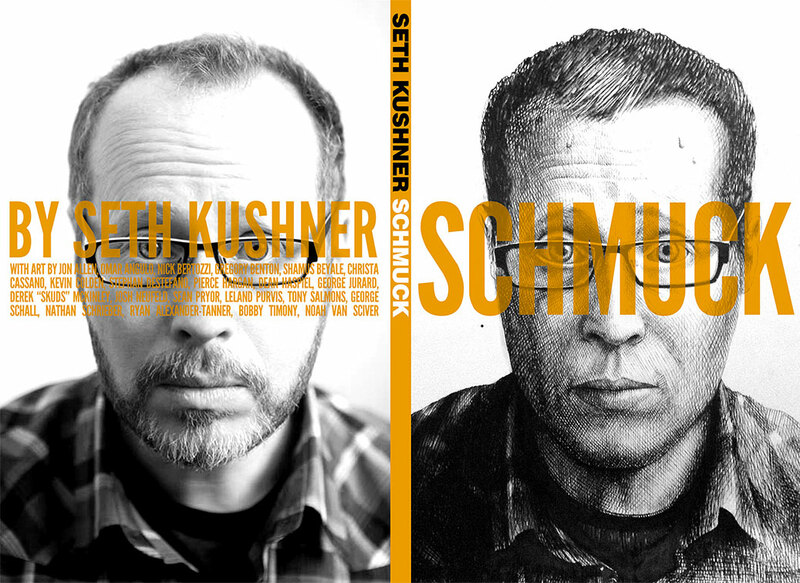 Also, SCHMUCK is MY story, it’s apropos to take this opportunity to experiment with independent publishing. If funded, it will wear the logo of HANG DAI EDITIONS, the indie publishing imprint recently founded by myself, Dean Haspiel, Gregory Benton and Josh Neufeld, to publish our personal, signature works. 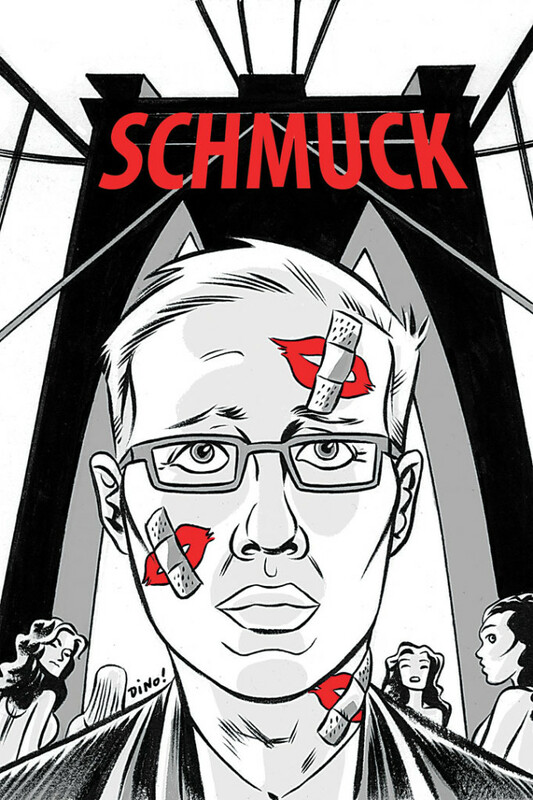 SCHMUCK is smack in the tradition of autobiographical comix. Do you have any role models in this realm or favorites? Without question my role model is the late, great Harvey Pekar. What he taught me is one’s life need not be extraordinary in order to be compelling. It’s all about how you tell the story. I’ve not walked on the moon (though I did attempt a moonwalk at a Bar Mitzvah) or cured a disease or battled ferocious beasts to the death. However, I’ve been dumped, and dumped again,and I’ve had diarrhea while on a date. Harvey was painfully honest, and it’s been said by some who read my comics I’m honest painfully… He never tried to make himself appear “cool” and I don’t either. What does your wife think about your reliving so many exes in the pages of the comics?